One of my other hobbies (with accompanying website) is rowing. Small-world coincidence, one of my fellow coaches at Marlow Rowing Club, Imogen Walsh, was one of the first rowing coaches in the Maldives stationed there for a year to help develop the sport. One of my first “Haven’t Seen Yet” items is finding a resort with a sculling boat (and there still are none). 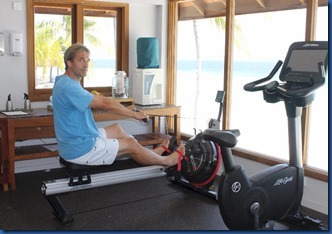 But the Life Fitness “water rower” at Hurawalhi is designed to most closely simulate the action of rowing in the water with a slider seat the resistance is actually created by a small tank of water at the foot of the apparatus. 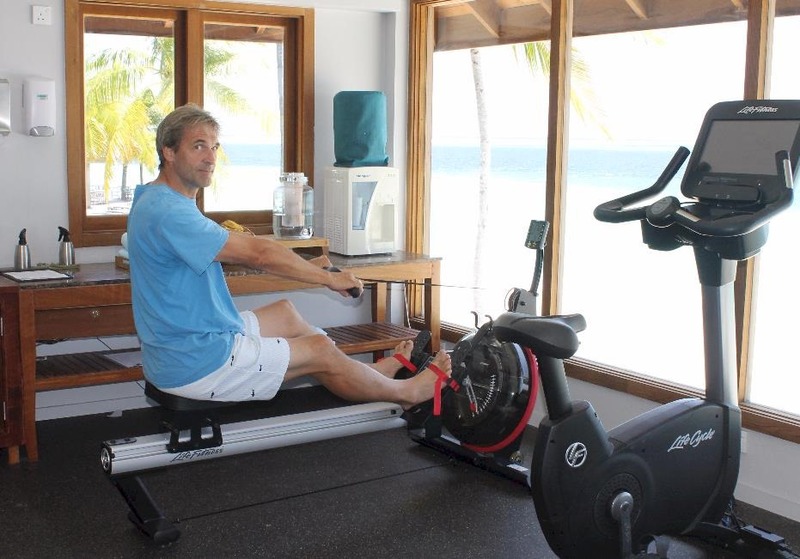 State-of-the art rowing training with a striking large window view of the nearby ocean to provide that extra aesthetic water feel.